This salt dough angel is a unique gift for your Great Grandmother! Hand painted in barn red with a rusted star decoration, she's also available in midnight blue or hunter green, just attach a note at checkout if preference is other than shown. Measures 3 3/4" tall and 4" wide. 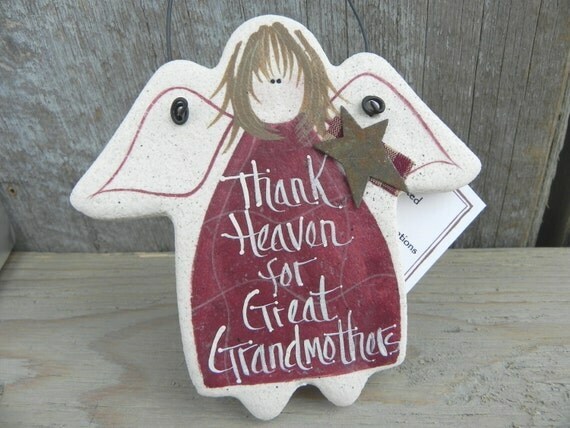 Inscriptions read, "Thank Heaven for Great Grandmothers", and "Great Grandmothers are Angels on Earth"